During the 2014 National PKU Alliance Conference this past summer, an update was given on the development of a home phe monitor, a device that would allow people to check their blood phe levels immediately from home. In this video interview, produced by Kevin Alexander, Dr. Tom Franklin, chair of the National PKU Alliance Scientific Advisory Board, says that after receiving 128 proposals from scientists representing seven different countries, nine were selected in April 2014 for Phase II and were required to submit detailed concepts for the monitor by July 2014. Many of my readers are aware that I’m pregnant with my first child and as I prepare to hit the 30-week mark this weekend, I’m well beyond the point in my pregnancy when Madison has started to process phe for me. In order to make sure my current phe allotment is still appropriate, I use a lancing device to gather a blood sample every Sunday, allow it to dry overnight and then mail it in Monday morning. Yet, as I write this blog entry, the last phe result I received was on Aug. 19 for a level I took on Aug. 10. For those of you who are counting, that was more than three weeks ago. Neurotic, Type-A-Personality folks like myself can’t help but worry about how much has changed in that time span. When my blood work leaves my mailbox Monday morning, it’s probably fair to estimate a two-day delivery time with the U.S. Postal Service. So what happens once it reaches its destination to cause it to be delayed so much longer? Well, in my case, the level likely arrives at the hospital warehouse where it is processed for an internal delivery system. In some cases, clinics decide to hold a patient’s level until they have enough in-hand to justify the cost of processing them (most clinics will place a maternal PKU patient on a priority list). And then there’s just plain old human error. Levels are lost, stuck in interdepartmental tube delivery systems and who knows what else! To be clear, I’m not trying to place blame on any one person or organization. Heck, even I realize that my decision to transfer care to another state also plays a role in this conundrum. The point is there are many reasons why the turnaround for blood phe results moves slower than molasses. No doubt, the ability to use a home phe monitor would vastly improve many lives in the PKU community. Until that day, I’ll continue to play catch-up with how fast Madison grows and the protein she needs for that development. I’ve decided to overnight delivery of my levels (which, by the way, costs me $20 a pop). I also have started to send them directly to my clinic, bypassing the hospital’s warehouse; ultimately hoping that all of this will help improve the situation. I’m curious to hear if others in the PKU community have had similar frustrations with the time it takes to get back blood test results. Have you and your clinic come up with other unique ways to improve the process for submitting levels through the mail? Grab your walking shoes–spring has arrived! The trees are turning green, flowers are in bloom and the birds have started singing again. Here in the South spring has sprung and that also means that lots of planning is underway for the Tennessee PKU Foundation’s two spring fundraisers–a walk for PKU in Nashville on May 3 and another taking place in Knoxville on May 17. 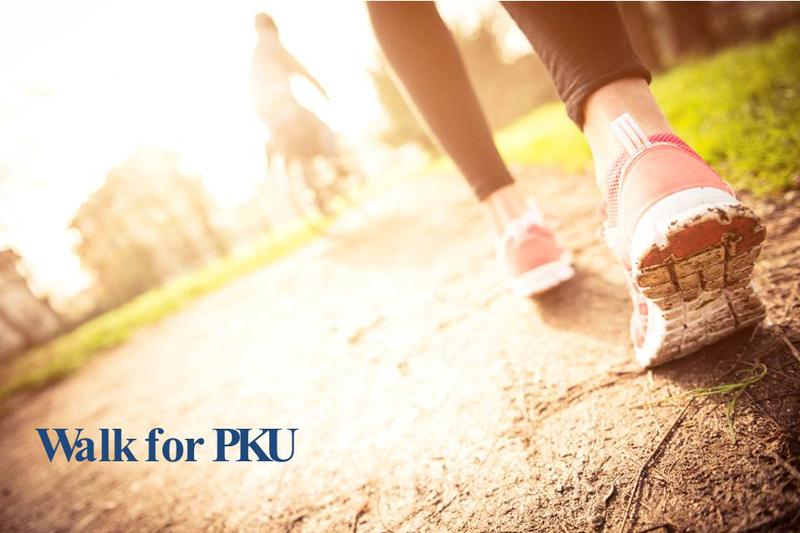 As they have done in years past, these two walks—as well as a third organized for Memphis, Tenn., later in the fall—are organized to raise money in support of PKU research. Since its inception, the Tennessee PKU Foundation has raised more than $63,400 for individual researchers and those supported through the National PKU Alliance. Other funds raised by the foundation stay within the state to support camp and conference scholarships as well as newborn welcome packets. On a national level, the National PKU Alliance’s Scientific Advisory Committee—comprised of physicians, researchers and clinicians—reviews proposals submitted by researchers who are working in the inherited metabolic disease field and awards grants to those committed to advancing PKU treatments and ultimately developing a cure. Those researchers receiving grants from the National PKU Alliance in 2014 were just recently announced. You can read the full list of recipients on the nonprofit’s website, but two examples include Dr. Shawn Christ, associate professor of psychological sciences and associate director of the University of Missouri’s Brain Imaging Center, and Dr. Kristen Skvorak from the University of Pittsburgh Medical Center. Christ is examining the effects of PKU on gray matter structures in the brain, and Skvorak has been pursing ground-breaking experiments in liver cell transplants for PKU in a mouse model. Several other U.S. states are also member organizations of the National PKU Alliance and if there’s one nearby your home, I encourage you to support them in their own individual fundraising efforts. However, if you do not have an affiliation with any of these groups but still feel so moved to also support PKU research, you can contribute online via the Tennessee PKU Foundation’s walk registration website. Even if you cannot attend one of these events in person, you can still play a role in supporting PKU research. We have all heard about specific days, weeks and even months that are set aside in recognition of something special. Today – December 3, 2012 – is the first-ever National PKU Awareness Day. What does that mean for the PKU community? Here are a couple things to know first about these special time periods of distinction. In the marketing realm, there’s a difference between national days and national awareness days. National days are typically reserved for organizations lobbying for commercial interests such as National Mutt Day on Dec. 2 which reminds potential dog owners to adopt mixed-breed pets. National awareness days, on the other hand, are used to identify health-related issues; some of the more well-known health awareness campaigns being in support of breast cancer and heart disease. As a rare genetic disorder with no cure, PKU certainly falls within the national-awareness-day category. Receiving a national awareness day distinction for PKU required the support of the U.S. Senate, which unanimously passed the resolution on Sept. 19, 2012. Senators Johnny Isakson (R-Ga.) and John Kerry (D-Mass.) co-sponsored the resolution, and the National PKU Alliance, a coalition of local, state and regional organizations supporting PKU families, undoubtedly played an integral role assisting the two senators as they sought buy-in from their senatorial colleagues. More scientists will know of and perhaps be inspired to study phenylketonuria. More funding may be allocated for academic research in support of PKU. Policy decision makers in Washington D.C. will better understand the importance of mandatory newborn screening and may eventually pass the Medical Foods Equity Act. Insurance coverage will increase at both the national and state levels. Any confusion that the PKU “diet” is cosmetic and applies to weight-loss will be eliminated. PKU clinics across the nation will improve thanks to shared best practices and individualized patient care. We may someday gain a better understanding for the differing degrees of severity found in PKU. The list of pharmaceutical drug therapies that are available for the treatment of PKU may increase. We could also see a greater variety of low-protein foods made available to patients…maybe some even available in common grocery stores. PKU patients and their families will experience a greater sense of community. We may improve upon the resources made available to women facing maternal PKU…and ultimately increase the number of successful pregnancies. PKU will have a greater, national identity; one that “adds a face” to what is otherwise an obscure genetic disorder. I do not think it’s at a stretch to assume that through all of these “blue-sky” goals, National PKU Awareness Day could one day lead to a cure. With that in mind, what other items would you add to this wish list? Each October, the Susan G. Komen Foundation conducts a media and fundraising blitz in an effort to raise overall awareness for breast cancer and to help fund ongoing research. The same can be said for the American Heart Association and its trademark American Heart Month which takes place every February. While both of these conditions impact far more individuals than a rare genetic disorder, PKU also has its own month of distinction—May. As is the case with most health-related awareness campaigns, National PKU Awareness Month seeks to raise the condition’s profile by keeping it front-and-center in the minds and hearts of everyone. It becomes a time to examine critical issues such as the challenges we face in obtaining insurance coverage or the importance of supporting mandatory newborn screening. Media entities, with their interest in spotlighting human interest narratives, oftentimes serve a catalyst for educating the public, swaying public opinion and, in some cases, influencing policy-makers. Supporting National PKU Awareness Month is important for all these reasons, but perhaps nothing is more inspirational than knowing that all fundraising dollars collected in recognition of this effort will help to fund ongoing scientific research…research that might one day provide the clues for how to cure PKU. I recently had the pleasure of participating in the Tennessee PKU Foundation’s 2012 Knoxville Walk for PKU. The event was hosted at the Knoxville Zoo and walk participants were asked to raise money for ongoing PKU research and support activities. With more than 165 people in attendance, the event raked-in an estimated $1,400–an amount that adds-on to the $46,000 the foundation has already contributed to PKU research since 2007. I’m pictured far left with other PKU patients and family members just moments before the 2012 Knoxville Walk for PKU kicked off at the Knoxville Zoo. Other similar events are either planned for or have already occurred in other regions across the state. In fact, both Memphis and Nashville have organized their own Walks for PKU. Imagine for a moment this same effort multiplied throughout the U.S. and even across the border into other nations. That is the impact National PKU Awareness Month has on this genetic disorder! With Memorial Day Weekend right around the corner, May has almost passed us by. However, the good news is the effort to promote PKU awareness does not have to stop at the end of the month. That is because just purely through our association with PKU, whether we are PKU patients or know someone with PKU, we all have the opportunity to serve as ambassadors for the cause. So tell me, did you recently help commemorate National PKU Awareness Month? If so, what sort of activities or actions in your community did you take part in? Please comment below and share your creative ideas. Perhaps we can learn from one another in terms of which efforts work best at garnering the most attention for PKU. This past February, the National Institutes of Health (NIH) hosted a scientific review conference on Phenylketonuria to discuss the “state of the science and future research needs.” The event was free and open to the public, but even if you could not cover the cost of travel and accommodations, the two-day event was also broadcasted live via webcast. I managed to log-on during my lunch break and listened intently to a session on PKU and Pregnancy. To my surprise, much of the PKU and Pregnancy presentation focused on Sapropterin and its use during maternal PKU (Sapropterin is the generic name for Kuvan, the first prescription drug approved by the U.S. Food and Drug Administration to lower blood phe levels in PKU patients). To be clear, Kuvan is not recommended for maternal PKU unless the benefits outweigh the risks. 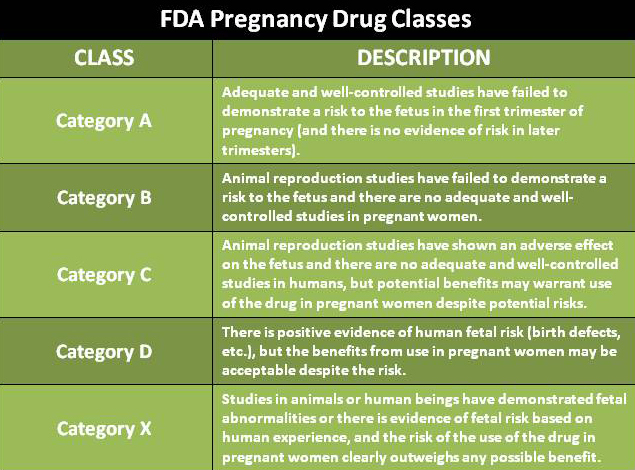 That is because when ranked on the FDA’s pregnancy classification of drugs, Sapropterin is considered a category C drug since it is still unclear whether Sapropterin crosses the human placenta. Research presented at the NIH conference confirmed that in some rare instances, Sapropterin had been prescribed to pregnant PKU patients, but only when the woman could not achieve dietary control at the start of her pregnancy. As early as 2005, Sapropterin was the focus of a study led by medical pioneer and PKU advocate Dr. Richard Koch. The patient was responsive to Sapropterin and during her pregnancy, she continued the medication at 40, 60, and 100 mg per day in the first, second, and third trimesters. Used in combination with low-protein food, optimal phe levels were achieved without any nausea and vomiting. More importantly, the woman’s child was born normal. Four years later, another study conducted by one of the presenters, Dr. Gabriella Pridjian from Tulane Hayward Genetics Center, reported on another pregnant PKU patient who had difficulty tolerating low-phe protein supplements. She was instructed to divide the Sapropterin up twice daily and ultimately had a healthy baby delivered through c-section. Pridjian noted that there were plans to eventually formally test the baby (who was now three years old) for any intellectual or developmental issues. In addition to these two case studies, the NIH panel reported that other pregnancies involving the use of Sapropterin were currently underway. In addition to concerns about whether Sapropterin harms a developing fetus, doctors admitted it was hard to determine if symptoms such as headache, rhinorrhea, vomiting, fever, abdominal pain, rashes or nasal congestion were a result of the prescription drug or simply associated with the pregnancy. Even though the maker of Kuvan, BioMarin, does in fact encourage pregnant women who were exposed to Kuvan during their pregnancy to participate in ongoing studies about the drug’s effect, there are no plans for future controlled studies. Based on what little has been conducted, including the two case studies I’ve mentioned here, initial reports of using Sapropterin during pregnancy are encouraging. However, continued research on this matter is definitely a must, especially with concern to the long-term implications the drug might have on a PKU woman’s child. When my husband and I recently attended the Network PKU Conference in Denver, Colo., there was a very interesting presentation given by Dr. Shawn Christ, director of the Clinical Neuropsychology Laboratory at the University of Missouri’s Brain Imaging Center. His research focuses on the brain and why conditions like PKU impact its structural and functional integrity. After reminding attendees that hi-phe levels can build up and cause damage, Christ explained that he and his team have started using magnetic resonance imaging, or MRIs, to study impact to the brain. The equipment located at the Brain Imaging Center not only uses magnetic fields to generate images of the brain, but is also outfitted with hi-definition projectors and surround sound speakers for conducting visual and auditory memory experiments. 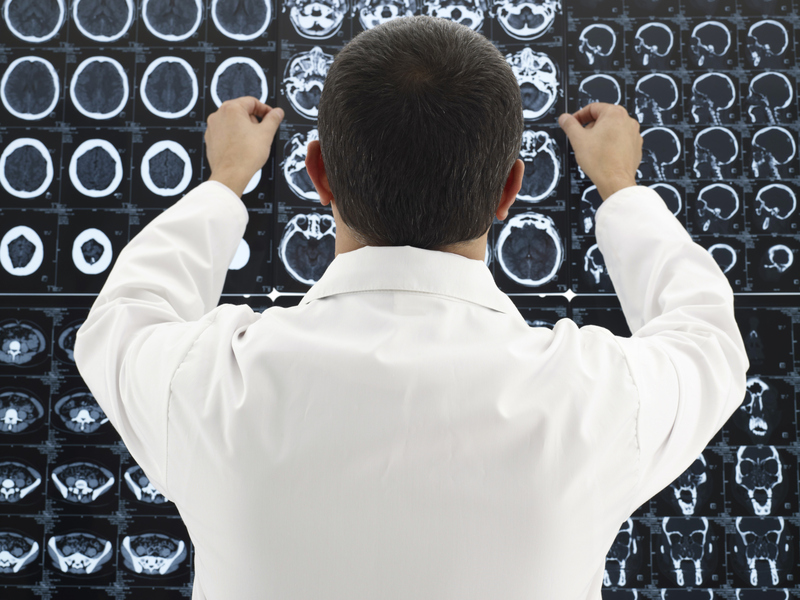 When used on PKU patients, MRI scans can capture any damage that might have been caused to the white brain matter, thus providing a glimpse into the structural integrity of the brain. What’s more though, Dr. Christ has begun looking at the functional integrity of the brain by asking research subjects to solve math problems while undergoing an MRI. Another test the team might use examines memory function by asking participants to watch a series of letters and then push a button when the letter they see is the same as what they saw two letters before. Dr. Christ performed these tests with six PKU patients (who had elevated protein levels) and six non-PKU patients. He then looked to see what parts of the brain people with PKU are using differently than those without PKU. What Dr. Christ found was that PKU patients were activating specific areas of the brain more than the non-PKU participants. In other words, they were compensating. Research from University of Missouri Brain Imaging Center May Lead to Treatment of a Variety of Mental Disorders from MU News Bureau on Vimeo. In the future, Dr. Christ hopes to explore why it is that some PKU patients are more affected by hi-phe levels than others. He is also planning to team up with BioMarin to see what happens in the brain when phe levels are dropped using Kuvan treatments. I’m certainly looking forward to hearing more about the ongoing research Dr. Christ and the other researchers are pursuing at the University of Missouri’s Brain Imaging Center! As anyone who has ever tried to diet knows, the secret to becoming successful is to not to get bored. That seemed to be the theme of the Network PKU Conference, a low-protein interactive culinary workshop that I and my husband attended April 29 – May 1 in Denver, Colo. The event’s roots began in 2003 when an informational video about PKU was created to raise awareness. Applied Nutrition Founder Rick Finkel recognized the importance of remaining on diet for life and in 2004, decided to have culinary conference where attendees would learn from professional chefs at Johnson & Wales University. In 2009, the event rolled out the Iron Chef Contest, an opportunity for PKU patients to compete in culinary skills. I didn’t participate in the Iron Chef Contest when we attended (mostly because I had zero confidence in my cooking skills), but we got to see the presentations of the final products. Each team competed to create a tasty meal using a secret ingredient – mango. Later during the conference my husband Brandon and I attended several workshops where the chefs at Johnson & Wales University demonstrated how spices, fresh fruit, and vegetables we never heard of can help sprinkle a little variety in the diet. The conference was extremely impressive and a wonderful way for Brandon and I to immerse ourselves in low-protein cooking. However, I’d have to say that the most valuable experience I had in attending the Network PKU Conference was meeting other people and families who are living and dealing with the same challenges we are. Until this year, I had never met anyone else diagnosed with PKU. If you ever have the opportunity to attend an upcoming Network PKU Conference, I highly recommend it!